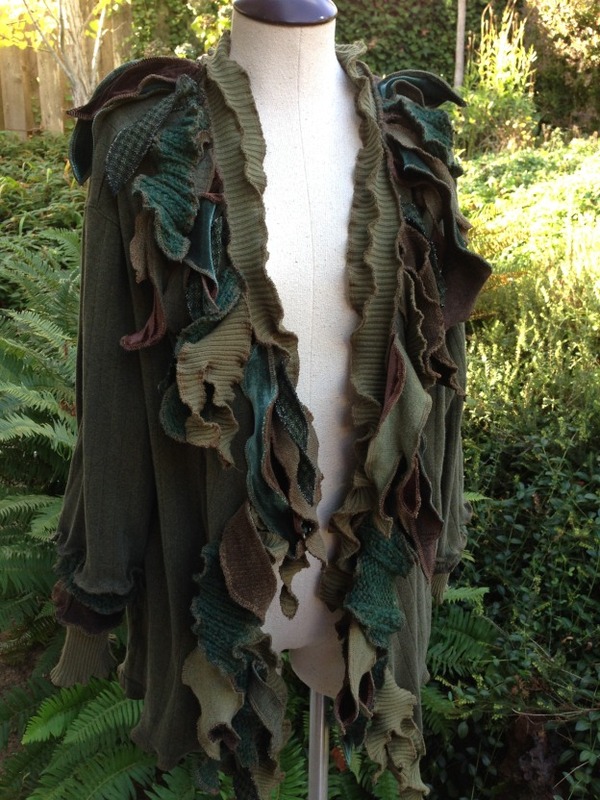 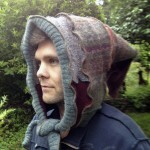 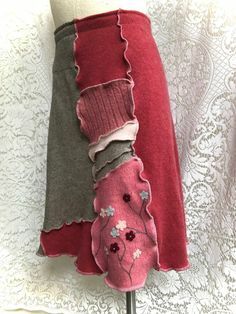 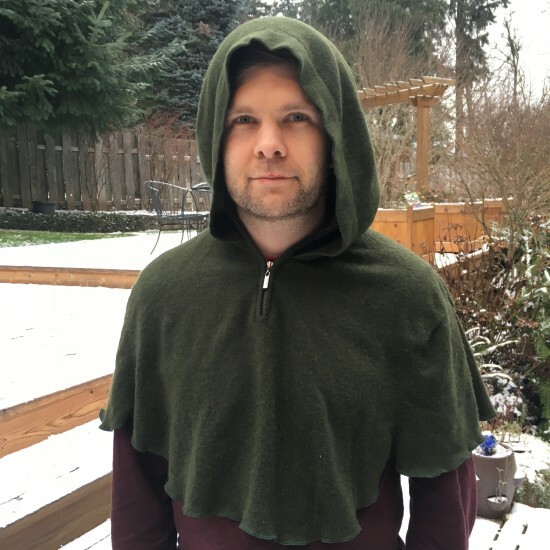 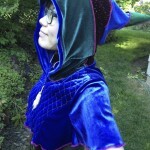 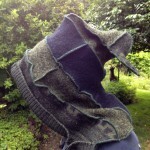 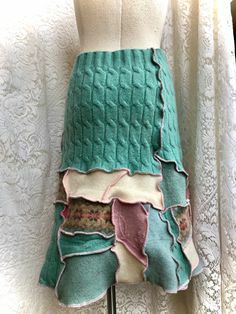 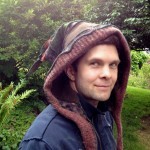 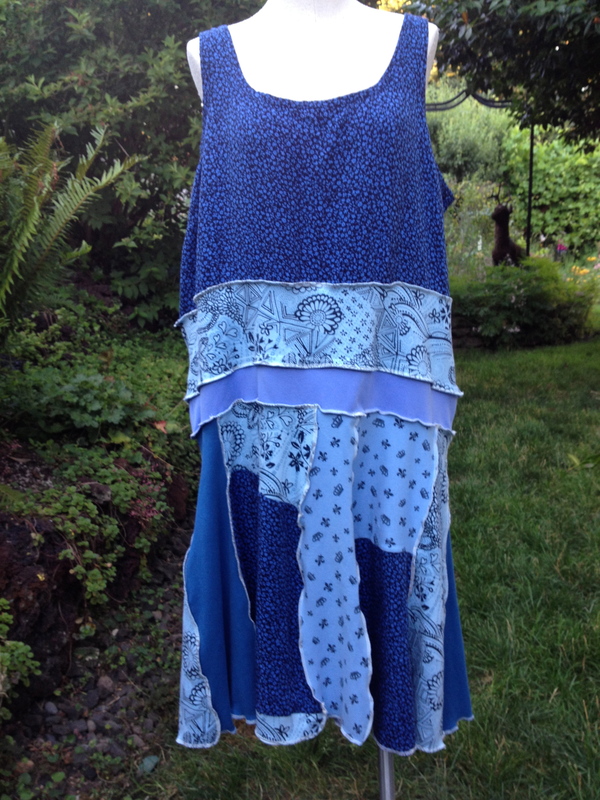 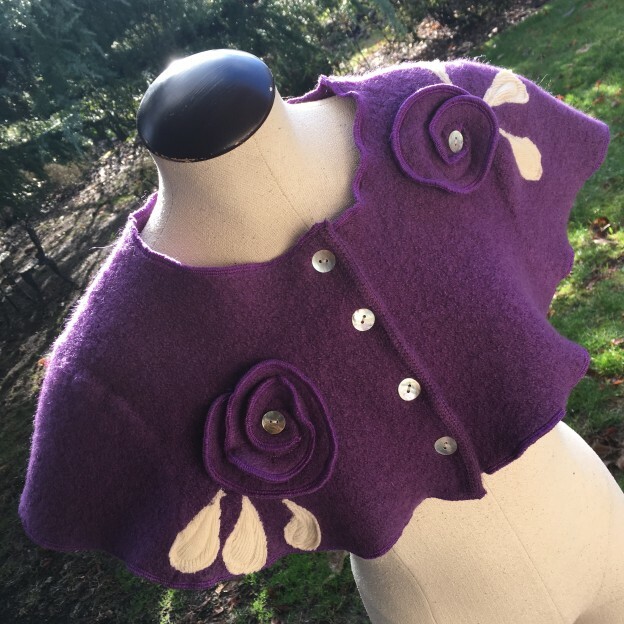 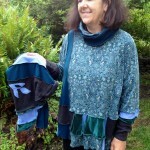 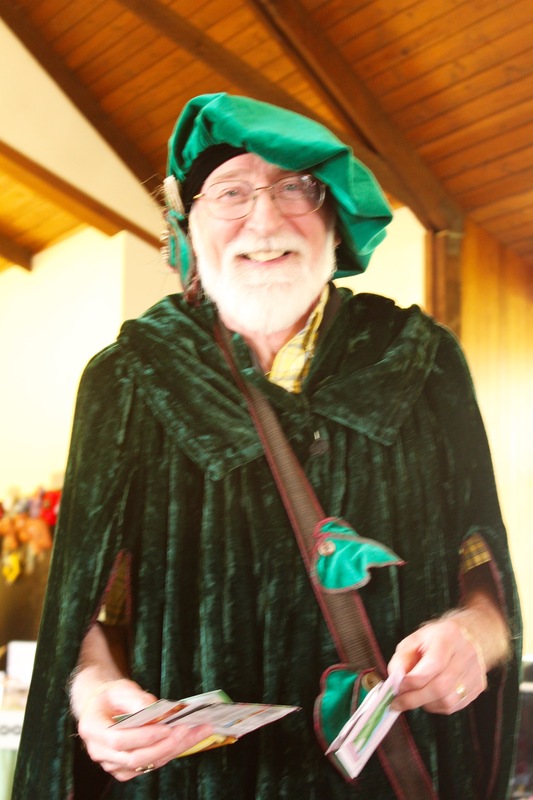 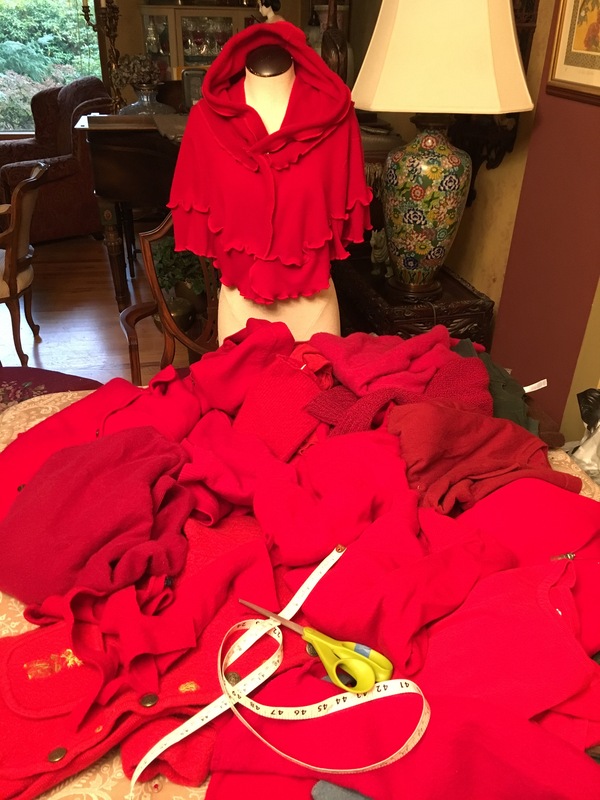 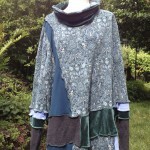 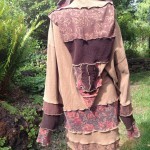 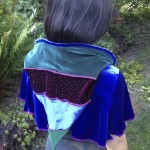 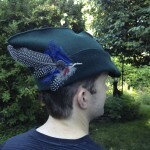 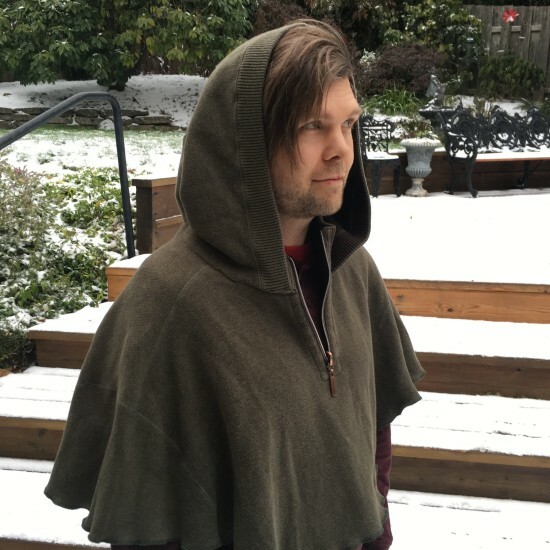 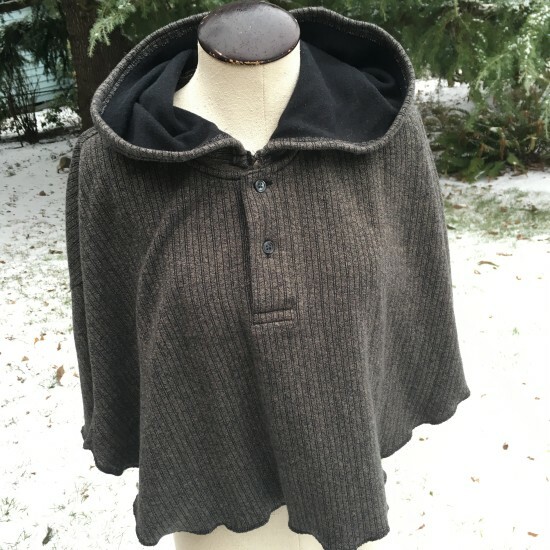 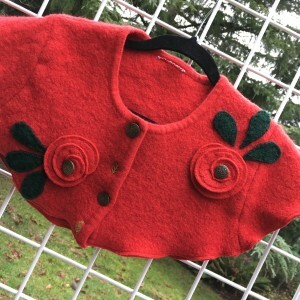 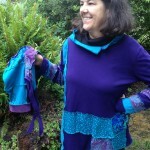 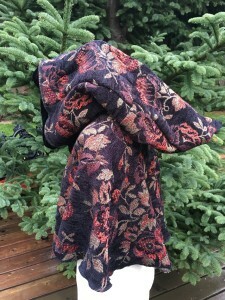 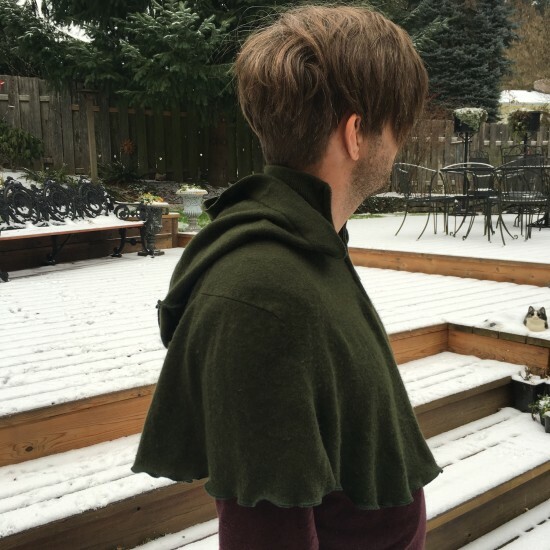 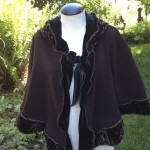 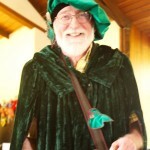 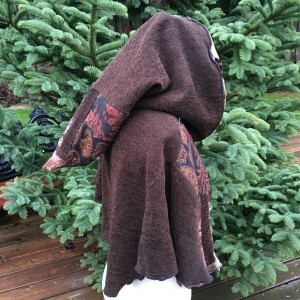 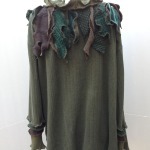 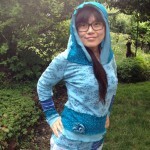 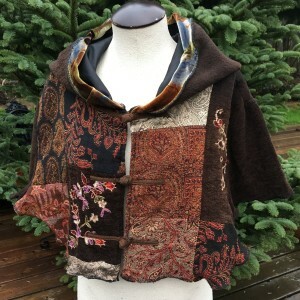 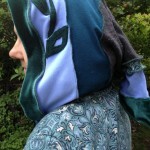 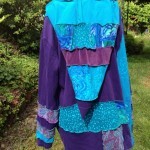 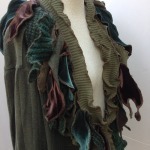 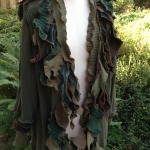 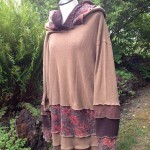 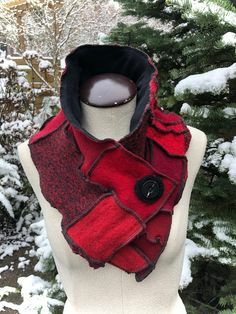 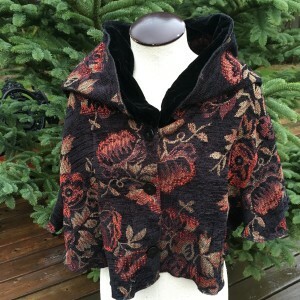 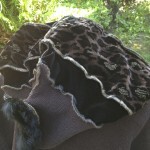 This entry was posted in Adults, New Projects and tagged cashmere cape, cloaks, Dana Murphy Designs, festival wear, hooded cape, hooded cloak, hoodies, mantle, men cape, Portland Oregon, recycled clothing, Upcycled Clothing on January 13, 2016 by Dana. 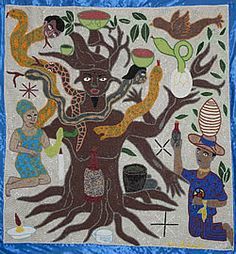 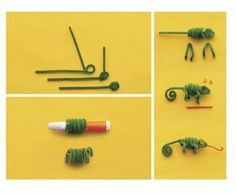 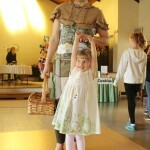 Celebrating Mother Earth’s Bounty! 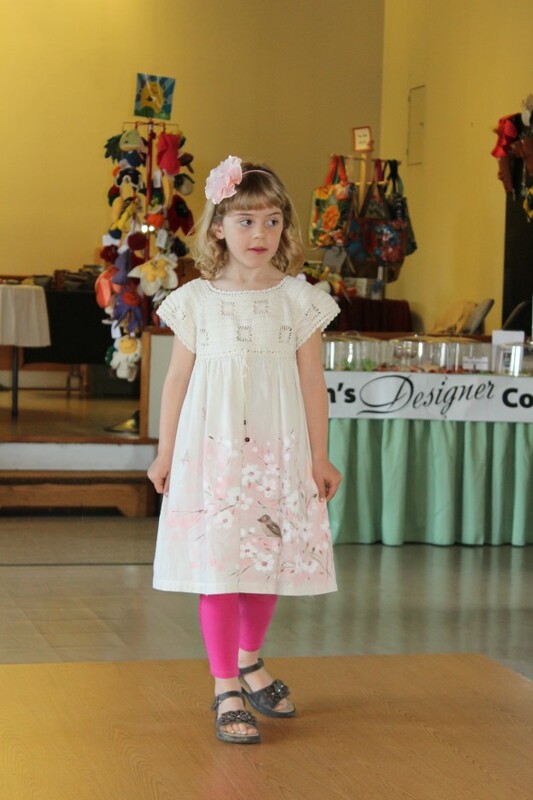 We held our second fashion show on April 25, 2015 in Tigard as a benefit event for Bethlehem House of Bread. 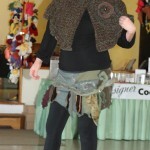 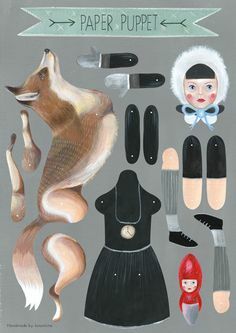 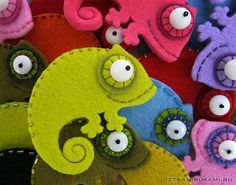 Here are a few pieces that I had in the show. 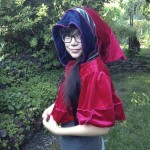 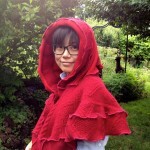 Daeja wears a hooded red cape and helps to pass out vegetable seed packets. 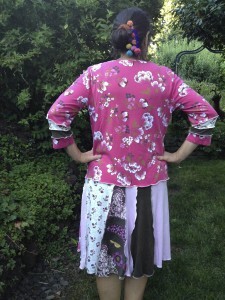 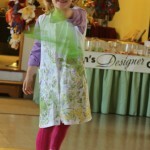 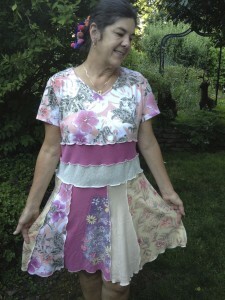 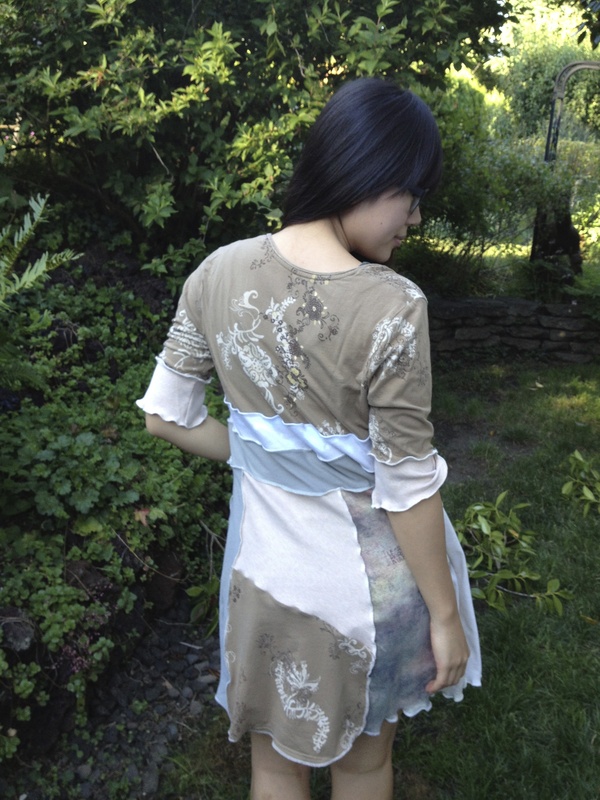 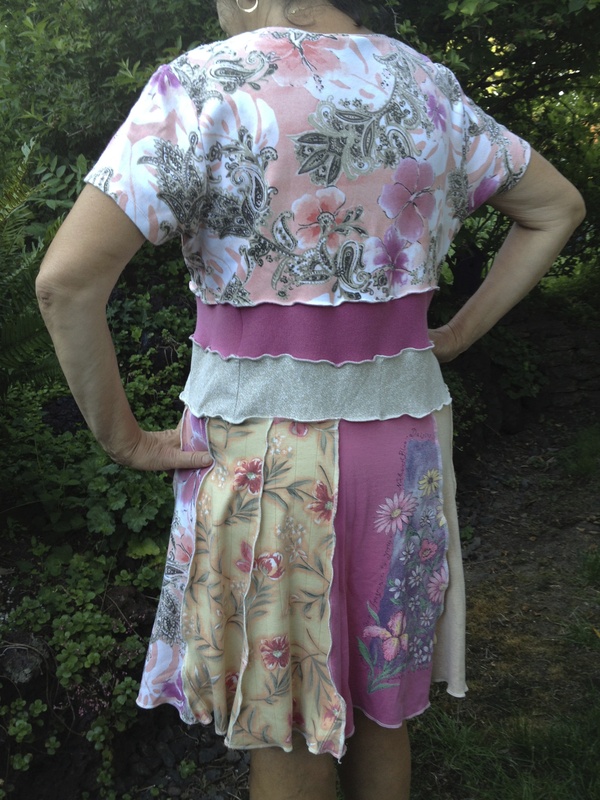 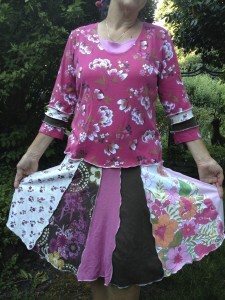 Nora models a hand painted cotton dress with frogs and dragonflies. 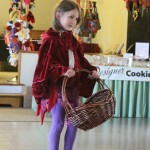 She is all ready to explore with her net! Nora wears a hand painted dress with a branch of spring flowers and a brown bird. 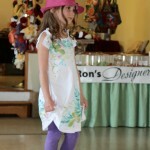 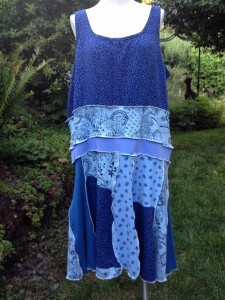 Nora models a hand painted dress with a hand crocheted bodice. 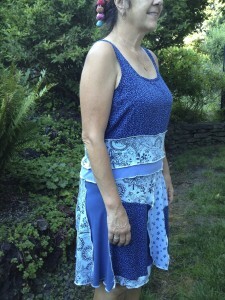 Jacinda is showcasing a pixie skirt and capelet…all ready for summer with a festival wear outfit. 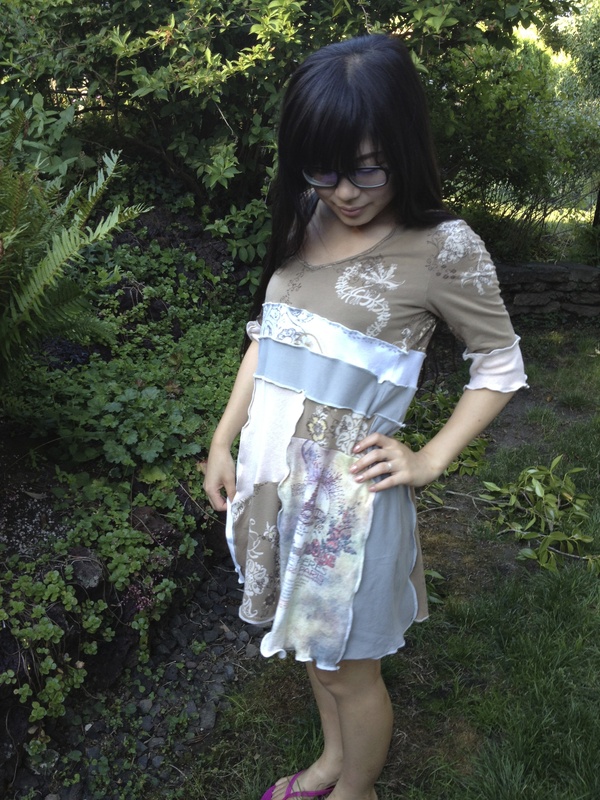 Daeja wears a hand painted dress with bright spring colors and an exotic bird. 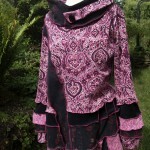 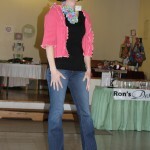 A cotton pink shrug, a perfect accessory to any outfit. Kate wear a cotton cardigan with a shawl-like collar. 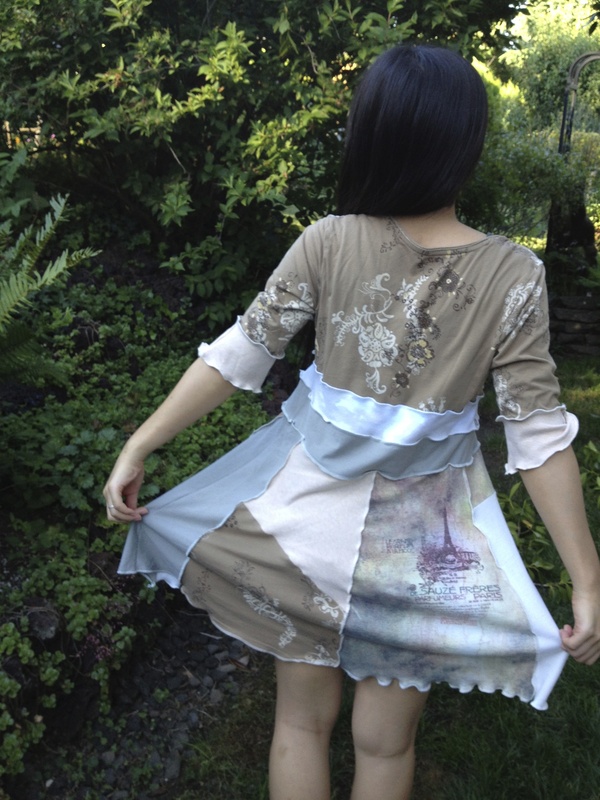 Abi has a hand painted bunny hiding in the garden on her dress! 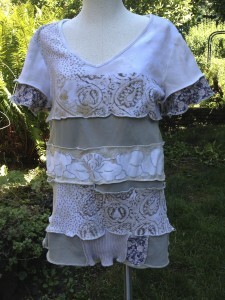 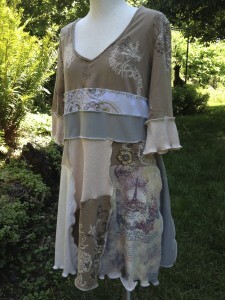 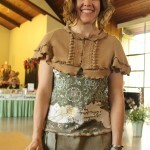 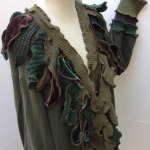 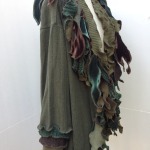 Terra shows us an up cycled cotton dress with a wool caplet over her shoulders. 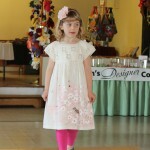 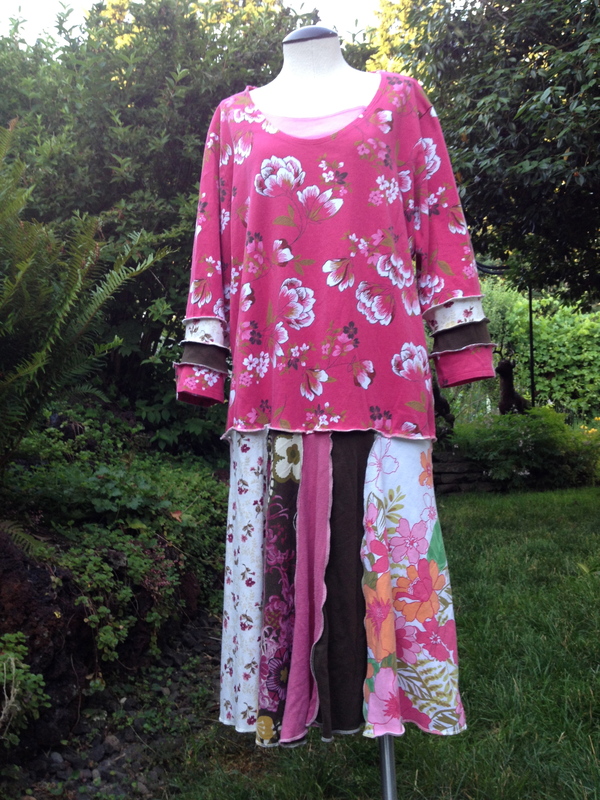 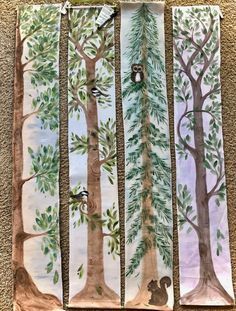 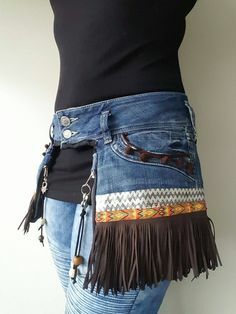 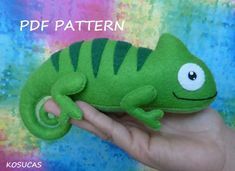 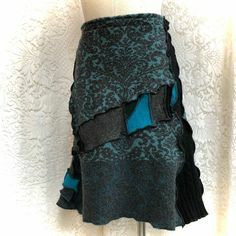 This entry was posted in Adults, kids clothes, Upcycled Recycled Clothing and tagged children's dresses, Dana Murphy Designs, Fashion Show, festival wear, hand painted clothing, up cycled clothing, wearable art on April 29, 2015 by Dana.